colvin and company: New Marriage, New Name. Lots and lots of my friends from high school and college are getting engaged and every time I log onto Pinterest my home feed is flooded with posts about changing your last name and the easiest ways to go about it. I actually didn't read any of those posts before I went to get my name changed, I just looked it up online at the SS office to read about what I needed to do. But after reading a few of the posts from Pinterest I realized that, surprisingly, each state differs a little on their requirements for name change. 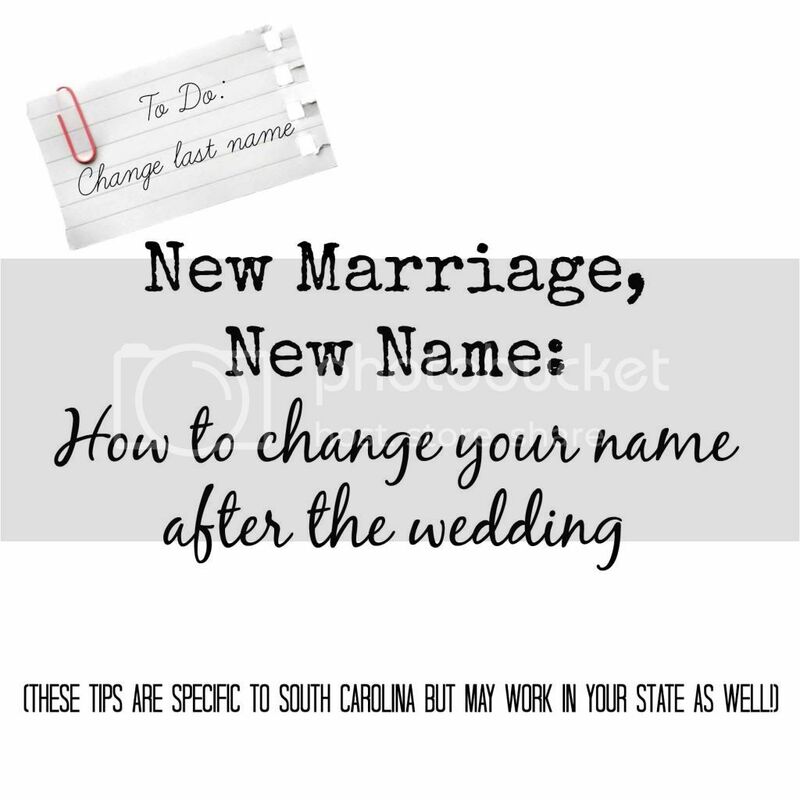 So for any South Carolina brides out there, here's how I went about changing my name. I hope this information is helpful to you! After that came in I headed to the DMV. The SS office will give you a certified receipt of your name change, they told me to take this to the DMV with me but I actually didn't need it. HOWEVER, to be on the safe side I'd take the receipt. (That folder I told you about taking to the SS office? I'd take that bad boy right onto the DMV.) All the DMV needs to see is your current license and your marriage license. Again, I gave them a copy I made myself and had no problems. I also changed my address on my license too and all you have to do is fill out short paperwork to get that done. They'll snap your picture, update your name and address and off you go with a shiny new license! Now that you've got your new SS card and drivers license, I'd next head to the bank to change your name on your account. Josh and I had already combined bank accounts right after we got back from our honeymoon so all I had to do was change my name on the account. We bank with Bank of America. You fill out a little paperwork and give them your new license. Because Josh and I share an account he actually had to sign for my name to be changed as well as me having to sign. So make note of that and be sure to take your spouse with you if you have a joint account. My new debit card with my new name came in the mail maybe 3-4 days later. We bought our house before we were married so the title to our house still has my maiden name on it and I may or may not change it down the road. 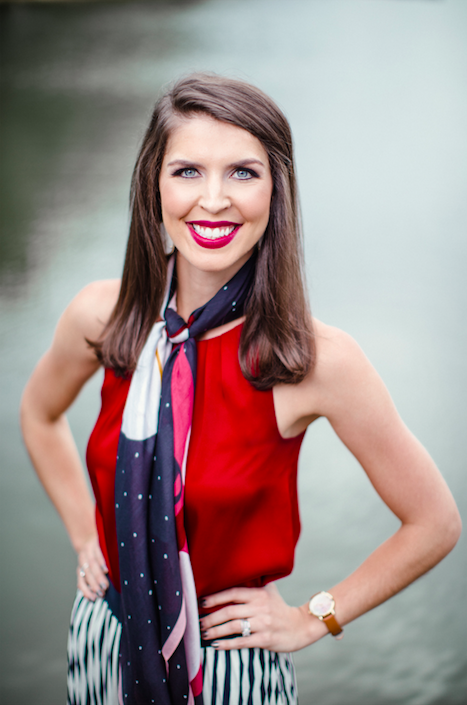 If you too bought your house with your husband before you were married, don't fret! If you don't change your name on the title all you have to do when you sell the house is sign your maiden name on the documents! As far as our electric bill, internet bill, tv bill, water bill, etc. Most of our companies allowed you to do a name change online and if not, they had a number you could call and took about 5 minutes to get my name changed. Of course, everything at work had to get changed but our HR department made it very painless for me and I had no problems at all! Thank you for laying this all out! 7 months after the wedding and I have yet to officially change my name, now that I know it isn't so bad, I'll go change it! Aftetr 4 months of marriage, I finally trucked down to the Social Security office, that took like 3 hours of my life...but its totally worth it. Next up, which I may do tomorrow...BMV to get my new license. The last time I went to do it, the system shut down RIGHT when I was filling out paperwork. Annoying!